All of us know what needs to be done to make our smile perfect. The perfect smile is a smile you feel confident about. And for Dental Perfection’s North London patients, the perfect smile starts with the whitest, cleanest-looking teeth. Tooth stains are a very common issue. They make your teeth look tired older, unhygienic, dirty and unhealthy no matter how much you brush them. Teeth discolouration can leave a lot of people too self-conscious to smile which can actually impact on your mental health and how good you feel about yourself. We’ll only offer you only the safest, most effective teeth whitening treatment on the market today so that your teeth look whiter, brighter, and healthy. So why do people get their teeth whitened at our Hampstead practice? These are just a few of life’s little pleasures that can dull your teeth’s sparkle over time. Stains don’t just appear out of nowhere. They build up and get worse as time goes by. Whilst an appointment with your dental hygienist will give your teeth a deep clean, it won’t be able to erase any particularly stubborn deep stains that are within the enamel and dentine layers. As we get older, our teeth start to get darker. Whilst this is completely natural, many people choose teeth whitening to stop the signs of ageing. Teeth whitening at home gives you a convenient way to brighten your teeth quickly and effectively. Many of our North London patients also choose to treat themselves with a teeth whitening course following other orthodontic treatment. You’ve spent a lot of time and effort creating a perfectly straight smile so you don’t want any tooth stains to detract from the impact of your successful treatment. Teeth whitening at home, in your own time, will get you on your way to a brighter, younger, healthier looking smile. We only use the highest quality products for our teeth whitening at home treatments. For the best teeth whitening at home, we believe that you can’t get better than the Polanight home whitening kit. With a neutral pH, Polanight gel is extremely gentle on your teeth and gums. Not only does it not cause any damage to your teeth, it actually works to protect them. The fluoride-releasing formula remineralises the surface of each tooth creating a barrier against sensitivity. Unlike many other teeth whitening at home options, Polanight employs a high water content formula to prevent the enamel from becoming dehydrated. With a blend of natural soothers and conditioners, Polanight keeps your teeth whiter and cleaner for longer by significantly minimising tooth decay and plaque formation. 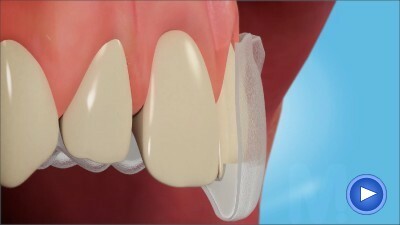 When you come in for your consultation at our Hampstead surgery, we will create custom gel trays to fit your mouth. This is so that your teeth whitening at home will be as comfortable as possible. Then, we can provide you with your Polanight syringes to take away. The fast-acting formula means you will see results in just a few hours. Your North London Dental Perfection dentist will create a bespoke plan for you to achieve the level of brightness you’re looking for to fit your lifestyle. Polanight can be applied for a few hours a day or you can choose to wear your tray overnight for a brighter smile without the hassle of scheduling. Why choose a teeth whitening at home course with Dental Perfection in Hampstead? If you’re ready now for your polished and perfect smile, please speak to the team at Dental Perfection in North London about teeth whitening at home or you can also read our frequently asked questions about teeth whitening. Our highly qualified teeth whitening dentists and dental nurses are experts in cosmetic dentistry and we can help you achieve the results you’ve always wanted. To book your teeth whitening consultation, please call us today on 020 7431 2710, or come in and make an appointment with the Dental Perfection team in Hampstead. Our North London premises is less than a minute's walk away from Hampstead Underground Station.